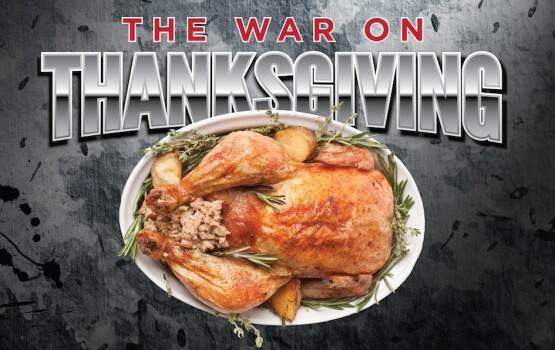 Infographic: Which stores are denying their workers a Thanksgiving? This year, retail stores are facing pressure from consumers, workers and some politicians, to close on Thanksgiving, allowing their employees to spend the (admittedly problematic) holiday with their families and friends. 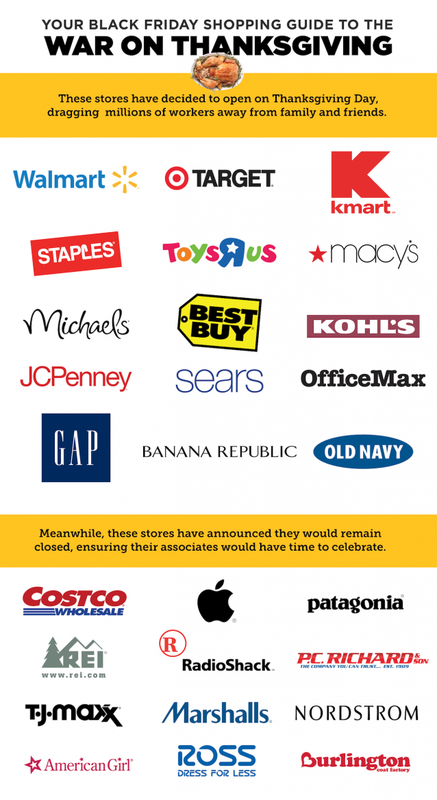 After the jump you’ll find a handy infographic which shows you which stores are closing and which stores are forcing their employees to work on the holiday their CEOs undoubtedly take off. I am not quitting. I do not resign, however I accept that the refusal to comply with this greedy, immoral request means the end of my tenure with this company […] I hope you realize that it’s the people at the bottom of the totem pole that make your life possible. Check out the the news story about Rohr, which includes a video and transcript, here. Also, one of my favorite responses to the story is the argument that hospitals and police precincts remain open on Thanksgiving. So why shouldn’t Pizza Huts? Such a good point. Because pizza saves lives.